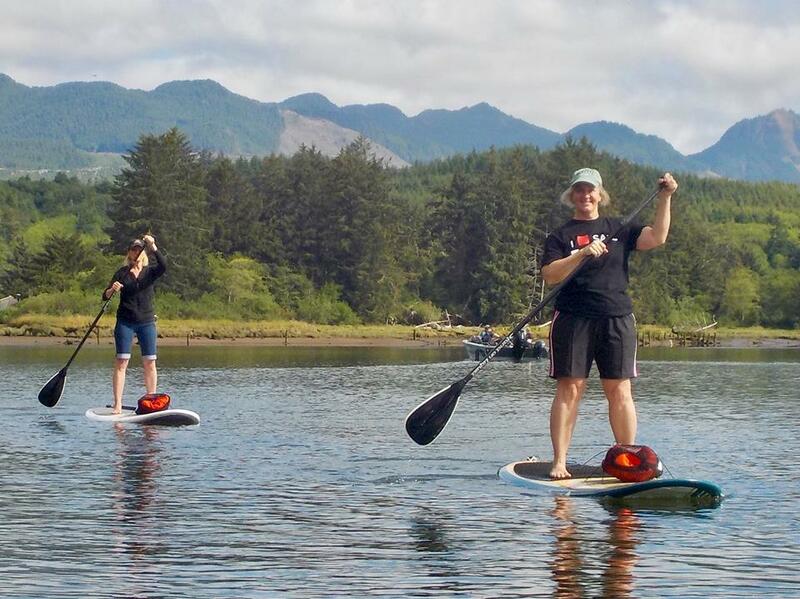 Getting To Know You: SUP Manzanita – Explore Manzanita! Try something new, SUP is for you! 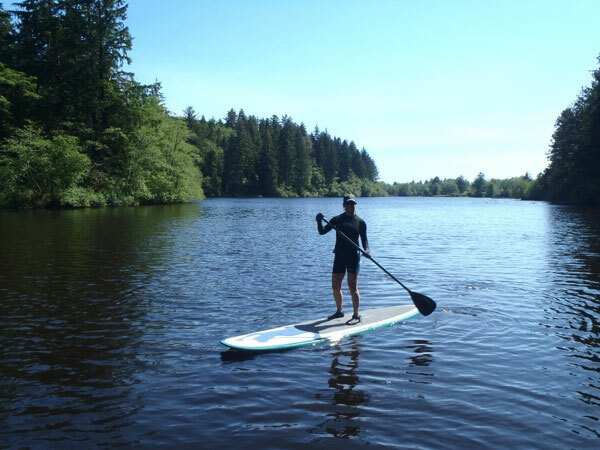 Stand Up Paddle Boarding aka SUP is one of the world’s fastest growing recreation water sports. There is good reason for that. It is so user friendly that anyone can learn it and enjoy the sport in less than 2 hours-essentially immediately and it is fun and fun counts! Once you try it, you will understand why. Basically you are standing on a giant surfboard and propelling yourself with a paddle. The origins of Stand Up Paddle Boarding come from Hawaii about 40 years ago as a way for surfing instructors to manage large groups of learner surfers. Standing on the board gives you a better view of what is going on around you such as incoming waves. When standing up you can also see much more clearly down through the surface of the water than you can in a canoe or kayak. The Hawaiian translation is Ku Hoe He’e Nalu – to stand, to paddle, to surf, a wave. However, the history of this sport goes back much further even than Hawaii. It has been documented that Polynesian fisherman going back 1000’s of years have used stand up style boats with long paddles to fish and travel with. 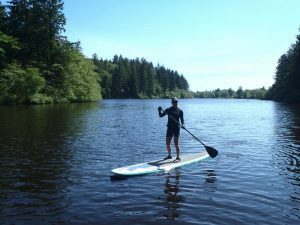 It’s quick and easy to learn the basic SUPing skill, allowing you to be up and paddling in no time. Whatever your age, gender or previous watersport experience, you can do it! You choose how hard you want to paddle, it is like going for a slow walk, a fast walk, a jog, a run or even a sprint. Your choice! Many ways to experience SUPing: all seasons, flatwater which is the easiest to learn on, ocean touring/surfing and even rivers with rapids. You can even fish off you board or go crabbing! Learn to stand on water, enjoy the outdoors and get some great exercise without knowing it because you are having so much fun! You will discover hidden treasures on the North Oregon Coast that few get to see by land. 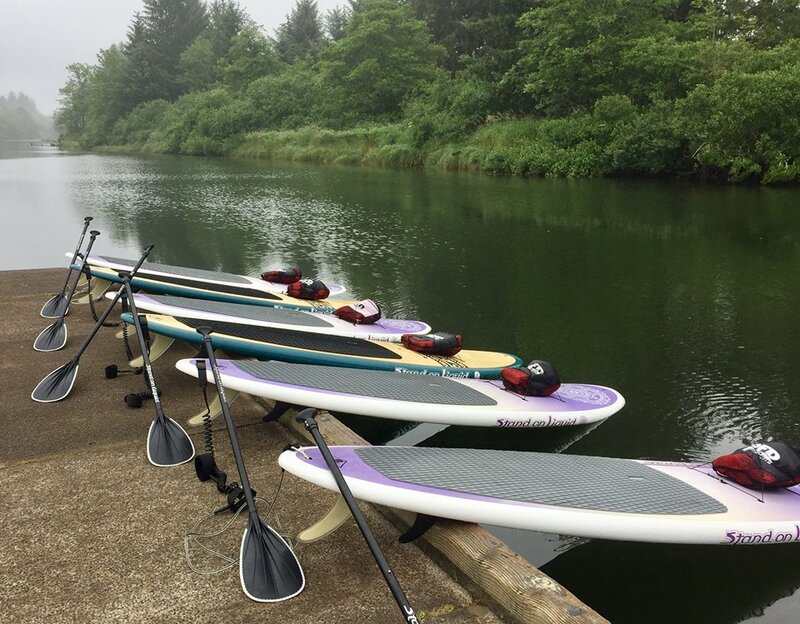 SUP Manzanita teaches on the flat waters of the Nehalem River and Bay. Located 2 miles south of Manzanita.